Ghost Label records after having released "Goattica Vol.1" is inviting every psy trance producers from ATTICA (and surroundings) to send demo tracks to records@ghostlabel.gr for the upcoming compilation "Goattica Vol.2". We are accepting only low bpm tracks (133-139). 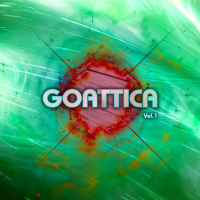 Goattica is a progressive psy trance compilation featuring some well-established artists from Attica, Greece. Open Source has carefully selected progressive tunes produced by Hi Profile, Monod, Aquafeel, Enarxis, Illegal Substances, Reverse, Fasma, Odd Sequence etc.